.. but it's getting there. Still have a few details to finish, but here it is as of today. 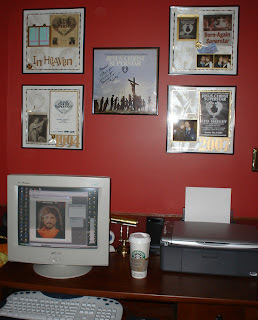 I found five frames at Micheal's specifically designed for record albums for only $8 each.. these worked great to fit both the album and the scrapbook pages! 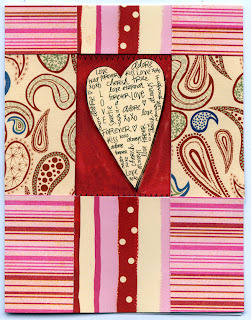 I made Valentines for hubby and daughter this year... they are both about the same, simply squares of different patterned paper glued over cardstock. 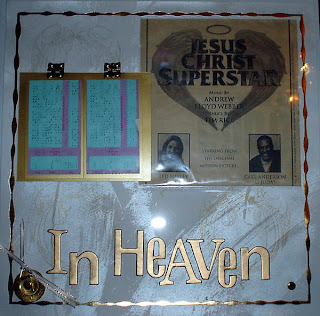 A window was cut out of the front and a heart cut from patterned paper is raised on foam squares from inside the card to peek through the window. Simple but effective. Inside is stamped "I" and "U" around the heart. 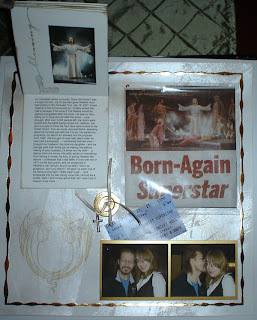 I wasn't lying... when I got up the nerve to tell Mr. Neeley I had been a fan since 1973, I could prove it. 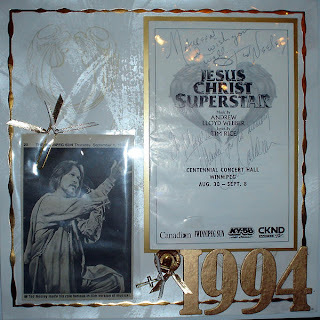 Other than my original long-play record (complete with inserts), the only other JCS item I had I made myself. 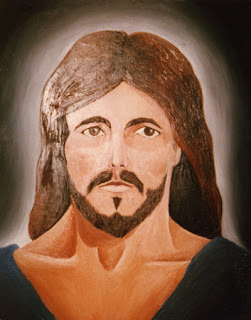 I may not have the original anymore, but I kept a photo of an oil painting I did shortly after seeing Jesus Christ Superstar when I was just 13. 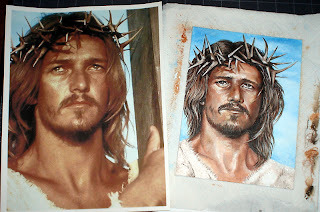 When I met Ted Neeley for the first time in 1994, I actually screwed up the courage to show him the photo... he was impressed with the "sculptured" neck I gave him! ;) I have such mixed feelings about this painting; it really looks NOTHING like Mr. Neeley, but I think it was my first attempt at portrait painting... ah well. I haven't painted a portrait in years; and today I was so in the mood to draw. 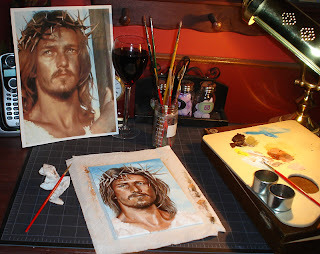 So I have begun my second Neeley painting - 33 years later... so far I've just done the underpainting on a small 8 X 6 canvas board. Next I'll do the color overlay. 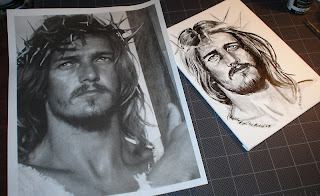 Obviously, this JC is much more "scruffy" than the simple style I had in my early teens!